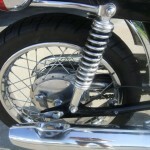 This ground-up restoration was completed by its owner. 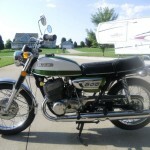 It was restored inside and out using many new old stock (NOS) original parts. 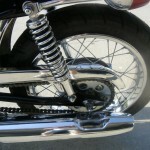 The chrome was restored and the rear fender, mufflers and pipes were re-chromed. 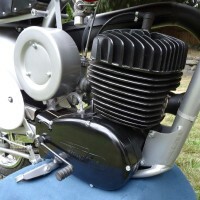 The brakes, fork seals, tyres, tubes, battery, chain, sprockets, left hand switch and the headlight was replaced. 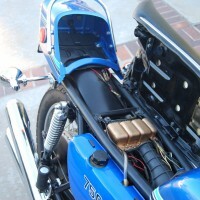 The motor was taken completely apart by a Suzuki dealer and refurbished. 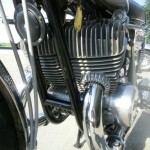 New pistons, rings and crank seals were fitted. 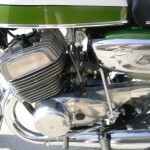 The carburettors were rebuilt and tuned. 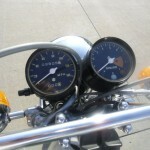 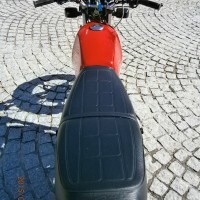 The tank and side covers were professionally painted. 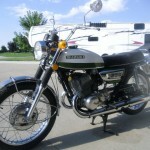 Suzuki T500J – 1972 For Sale or Wanted? 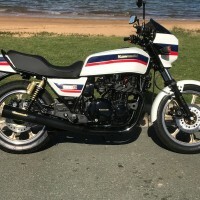 If you're looking for the perfect Suzuki T500J – 1972 for sale then take a look at the hundreds of restored classic motorcycles listed on our extensive Motorcycles For Sale pages. 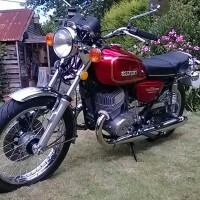 We regularly feature very nice restored Suzuki T500J – 1972 bikes for sale. 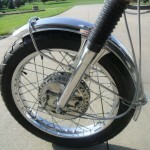 Spares and Parts for your Suzuki T500J – 1972? 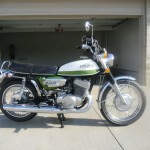 Workshop Manual for your Suzuki T500J – 1972?